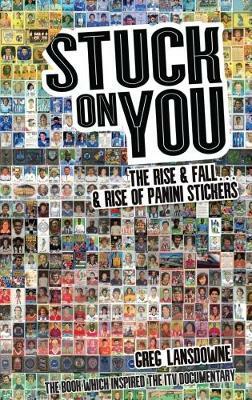 Stuck On You charts the history of football stickers in the UK - those little bundles of self-adhesive joy that have given so much to so many since Panini burst on to the scene in the late 1970s. Immerse yourself in a story of bitter rivalry, media moguls and the seedy underbelly of what can be a surprisingly murky business. Discover how upstarts Merlin took on the might of Panini and beat them at their own game - only for the Italian giants to hit back with the weight of nostalgia behind them. But ultimately you're invited to wallow in wistful memories of swapping in the school playground, shinies and recurring doubles. Featuring interviews with many of the industry's leading historical players and images from some familiar and lesser-known collections, Stuck On You is a must-read for anyone who has ever spent months, if not years, hankering after the St Mirren badge.